Every year, people all over the world suffer and die from mosquito-borne diseases. 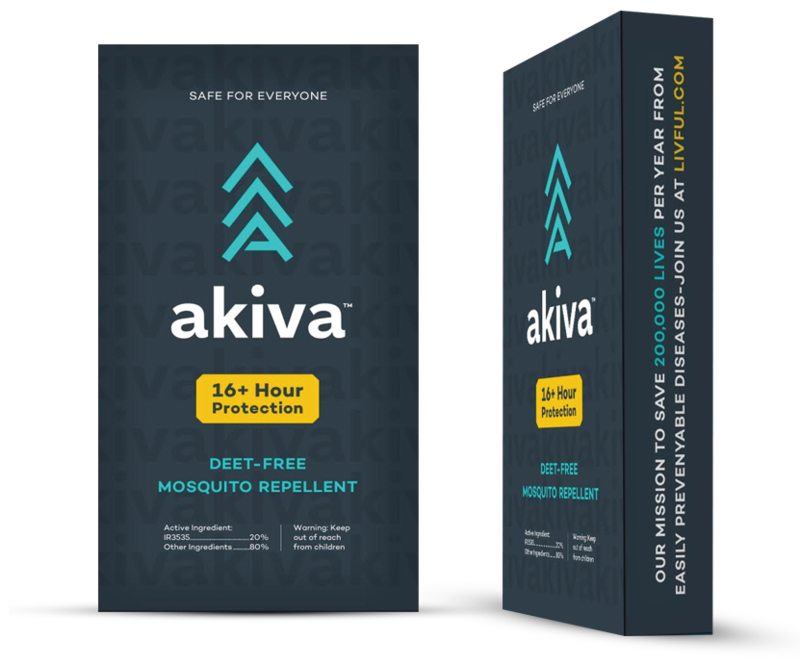 Akiva was created to alleviate this pain and suffering by offering powerful protection for everyone. We combined gentle ingredients and a patented timed-release technology to form a no-fly zone over your skin for up to 16+ hours.